Luis Severino gets a wild-card do-over when he starts for the Yankees against Oakland in a winner-take-all matchup. Severino allowed three runs and got just one out in last year's wild-card game against Minnesota before New York rallied for an 8-4 victory. Severino was chosen over J.A. Happ and Masahiro Tanaka despite a second-half slump. 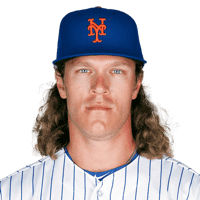 "I think he's equipped in so many ways to handle this, and perhaps most importantly, he's equipped with amazing stuff and the ability to dominate big league hitters because he's such a talented pitcher," manager Aaron Boone said. The A's will counter with a bullpen game, beginning with reliever Liam Hendriks — among the more unlikely postseason starters ever. Hendriks was waived off the 40-man roster in June, spent two months in the minors, then emerged in September as Oakland's go-to "opener" to cover for an injury-decimated rotation. Braves shortstop Dansby Swanson appears to be a longshot to make the team's roster for its NL Division Series against the Los Angeles Dodgers. Swanson partially tore a ligament in his left hand on a swing against the Mets on Sept. 25. 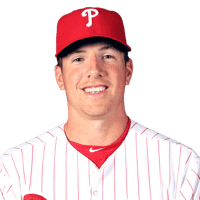 He had pain when he tried to swing a bat Saturday in Philadelphia and received more treatment Tuesday, remaining inside while his teammates were on the SunTrust Park field. Atlanta manager Brian Snitker says Swanson has "a chance" to play, but added "I don't know how great of one." After winning an epic NL wild-card game that lasted nearly five hours, Trevor Story and the Rockies can finally take a breather. Backup catcher Tony Wolters hit a tiebreaking single with two outs in the 13th inning and Colorado outlasted the Chicago Cubs 2-1 Tuesday night at Wrigley Field in the longest winner-take-all postseason game in major league history. It was the third big game over three days in three different cities for the Rockies, who play Game 1 of a best-of-five Division Series at NL Central champion Milwaukee on Thursday. "We didn't make it easy on ourselves, that's for sure," Story said, "but we're going to enjoy this one tonight and we're definitely not done." A club that was hovering around .500 when Matheny was dumped in July set a record for consecutive series wins, and climbed into the playoff race well into September. St. Louis was finally eliminated on the season's penultimate day, but the organization was left feeling much better about the future. "We've been in postseason mode since virtually the All-Star break," Shildt said, "so you appreciate what went well, and you appreciate and grow through experiences and you grow together. There's a lot of takeaways, and the good news is we'll take advantage of it. I can promise you that." "What I take away is really simple, really how you respond," outfielder Harrison Bader said. "Kind of got kicked in the teeth a little bit, but to have 162 games and then ultimately it come down to the last four or five, playing meaningful baseball that late in the season is what it's all about. "Unfortunately this year we didn't come out on the right side of where we really wanted to be," he said, "but it very easily could have gone another way. To set us up in that position with such a young team and young in terms of age and experience, it's no excuse but it's very promising." Yadier Molina proved he's still one of the best backstops in the game, even though he missed some time with an injury. The 36-year-old catcher hit .261 but slugged .436, and he belted 20 homers with 74 RBIs while helping to bring along a young pitching staff. Injuries decimated the staff early in the season, but that merely thrust some young guys into the mix. Now they're poised to form a formidable rotation next season, and competition to crack it will be brutal in spring training. Miles Mikolas and Michael Wacha are sure things, but Reyes, Jack Flaherty, Dakota Hudson, Carlos Martinez, Austin Gomber and others are eyeing a job. "We've got some room for improvement in some of these areas," Shildt acknowledged. "I think in general there is optimism about how this team is going about competition and the style of play and excited about what it looks like moving forward. I think there's a real good energy behind our fan base right now. It should be, at least." "Three straight years of coming up short. We as an organization, as a total group top to bottom everybody in this clubhouse, all the staff, we have to find a way to get better," first baseman Matt Carpenter said. "We're headed in the right direction. The second half was definitely a good starting point, but we've got to find a way to get there." Dodgers: David Freese or Max Muncy. One of several spots where Los Angeles platoons based on matchups. Freese, a proven postseason performer, figures to face left-handers Chris Sale and David Price early in the Series. Freese was MVP of the 2011 World Series and NLCS with St. Louis. He had a homer and five RBIs in 10 playoff at-bats this year. Muncy, who was released by Oakland and spent 2017 in the minors, became one of baseball's biggest surprises this season with 35 home runs and a .973 OPS. He batted .182 with two homers, 10 walks and 18 strikeouts in 11 playoff games. Edge: Dodgers, but it's close. Dodgers: Manny Machado. After young star Corey Seager went down early with an elbow injury, Los Angeles landed Machado for five prospects in a blockbuster deal with Baltimore on July 18. Only 26, the four-time All-Star is expected to command a huge contract as a free agent this offseason. He's aggravated opponents with questionable ethics on the field, leading Brewers slugger Christian Yelich to call Machado a "dirty player." He seems to be embracing the role of October villain — and Boston remembers his late slide that injured Pedroia last year. A terrific talent, Machado makes his World Series debut. 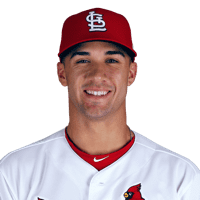 He had three homers, two doubles and nine RBIs during the playoffs, including a surprise bunt single that paid dividends in Game 7 of the NLCS. Dodgers: Justin Turner. With his bushy, bright red beard and penchant for clutch hits, Turner has become one of the Dodgers' most recognizable faces over the last few years. He was hampered by injuries this season but still batted .312 with a .924 OPS. Cast off by the Orioles and Mets when he was a part-time player with minimal power early on, Turner has blossomed into a .310 career postseason hitter with seven homers, 30 RBIs and a .941 OPS in 44 games. Red Sox: Eduardo Nunez or Rafael Devers. The right-handed-hitting Nunez is a free-swinging slasher who can run when healthy. He's been bothered by a sore right ankle lately and is shaky on defense. Devers, who turns 22 on Wednesday, is a left-handed bat who can catch up to anybody's fastball but also has defensive shortcomings (24 errors). 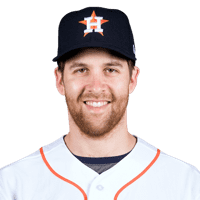 He went 7 for 20 (.350) with seven RBIs during the playoffs, including a three-run homer off Verlander in the clinching Game 5 of the ALCS against Houston. Dodgers: Austin Barnes. For the second consecutive postseason, Barnes has taken over the starting role from a struggling Yasmani Grandal. Barnes hasn't delivered the same offense as last year, but at least he's a strong defender who remedies Grandal's gaffes behind the plate. Barnes batted only .205 with four homers this season and went 2 for 18 with nine strikeouts in the NL playoffs. Dodgers: Chris Taylor or Joc Pederson. Another versatile piece, Taylor often winds up at multiple spots in the same game. He gives manager Dave Roberts all sorts of flexibility because he plays center field, left field and both middle infield positions. Taylor's numbers dropped off a bit this season and he led the NL with 178 strikeouts. But the co-MVP (with Turner) of the 2017 NLCS is having another fine October. 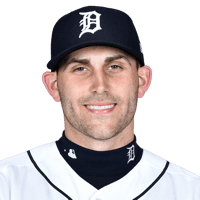 Taylor batted .360 with a 1.067 OPS in 10 playoff games and made an outstanding catch in left field to preserve the lead in Game 7 of the NLCS at Milwaukee. Pederson is a left-handed hitter with power (25 homers) and a good glove. He can also play center. Dodgers: Cody Bellinger. Last season's NL Rookie of the Year was unable to duplicate his huge 2017 power numbers, but Bellinger was still a big reason the Dodgers won their second straight pennant. 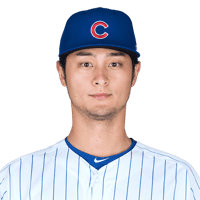 He was a bit of a curious choice for NLCS MVP after batting .200 against Milwaukee, but he did come through with a couple of very clutch hits and an excellent catch in the outfield. The long, lean slugger also plays a smooth first base and appeared in a league-high 162 games this season. His father, Clay, was a light-hitting backup on championship teams with the Yankees. Dodgers: Yasiel Puig. It's always an eventful ride with the excitable Puig, aptly nicknamed "The Wild Horse" by revered broadcaster Vin Scully. The talented and enigmatic slugger from Cuba burst onto the scene in 2013-14, then fell out of such favor with the Dodgers that they demoted him to the minors and tried to trade him. He's responded with two solid seasons in a row, and he went 10 for 30 (.333) with a .962 OPS during the playoffs. His three-run homer gave Los Angeles a 5-1 lead in Game 7 of the NLCS at Milwaukee. Puig seems to love the spotlight, and he certainly appears to be having fun. Of course, his rocket arm, pure speed and powerful swing still come with cocky antics and exaggerated bat flips that irritate certain opponents. Red Sox: Mookie Betts. The likely AL MVP this season, Betts does it all as one of the game's very best all-around players. He led the majors in batting average (.346), slugging percentage (.640) and runs (129) while hitting 32 homers and stealing 30 bases from his leadoff spot. He plays dazzling defense, too. Betts has yet to hit a postseason homer, and he batted just .205 with three RBIs during this year's playoffs — although he scored eight runs and shined in the field. Red Sox: J.D. Martinez. After signing a $110 million, five-year contract as a free agent, Martinez was a perfect fit in his first season with Boston. He batted .330, launched 43 home runs and topped the majors with 130 RBIs before hitting .313 with two homers and nine RBIs during the playoffs. Martinez is no slouch in right or left field, and he'll certainly remain in the lineup even with no DH under NL rules when the World Series shifts to Dodger Stadium for Game 3. That means rookie manager Alex Cora must open a spot for his slugger. He said it's possible Betts, a Gold Glove winner in right, could move to second base. Betts played second in the minors and made an appearance there this year. Boston could also just slide Betts to center and bench Bradley or Benintendi — especially against left-handers. Dodgers: Longtime ace Clayton Kershaw (9-5) was limited to 161 1/3 innings this year, and his 2.73 ERA was his highest in eight years. But the rotation received a big boost from Buehler (8-5, 2.62) and Hyun-Jin Ryu (7-3, 1.97) after the lefty returned from a groin injury. Another veteran left-hander, Rich Hill (11-5, 3.66), is from the Boston suburbs. He was languishing in an independent league before reviving his career with the Red Sox in 2015. Kershaw, who has never pitched at Fenway Park, expects to start the opener following his 15-pitch relief outing in Game 7 of the NLCS three days earlier. The three-time Cy Young Award winner and 2014 NL MVP has been trying for years to add a World Series title to all his individual achievements. But he is 9-8 with a 4.09 ERA in the postseason, and he flopped in a critical game during last year's Series loss to Houston. This is a shot at redemption. Two of Kershaw's three starts this October have been outstanding, the other was a dud. Ryu had a 1.15 ERA at home during the regular season and pitched seven shutout innings there against Atlanta in Game 1 of the Division Series. Red Sox: With two Cy Young Award winners plus a seven-time All-Star who features some of the filthiest stuff in baseball, the Red Sox certainly appear well-armed. But there are question marks going into this Series. Sale (12-4, 2.11 ERA, 237 strikeouts in 158 innings) said he's ready for the opener after being hospitalized with a stomach illness and missing a turn during the ALCS because he was still feeling weak. Shoulder trouble sidelined him during the second half of the season, too. Is he close to full strength? Price was 0-9 with a 6.16 ERA in 11 career postseason starts before throwing six shutout innings on three days' rest to win the ALCS clincher in Houston. Is he finally over that October hump? Hard-throwing Nathan Eovaldi (6-7, 3.81), who began his career with the Dodgers and was obtained from Tampa Bay in July, is 2-0 with a 1.88 ERA in his first postseason. Fellow righty Rick Porcello (17-7, 4.28) had a 4.22 ERA in two starts and two effective relief appearances during the playoffs. Dodgers: All-Star closer Kenley Jansen allowed 13 homers this season, more than twice his previous high, and looked wobbly down the stretch. But he was in peak form during the playoffs, striking out 10 over 6 2/3 shutout innings while earning three saves. Pedro Baez, Ryan Madson, Dylan Floro and Caleb Ferguson give Roberts quality setup options in a deep bullpen that includes three left-handers. 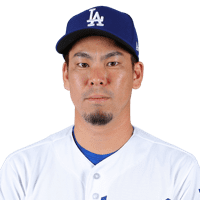 Converted starters Kenta Maeda, Alex Wood and Julio Urias provide flexibility and the ability to throw multiple innings. This group posted a 1.45 ERA during the NLCS, outperforming a touted Brewers bullpen that supposedly had an advantage. Then again, the Dodgers rode a dominant 'pen into last year's Series before Jansen and the rest of a tiring crew faltered against Houston. Red Sox: Entering the postseason, the relief bridge to star closer Craig Kimbrel was supposed to be the one area of weakness on the best team in baseball. Instead, the setup guys have mostly pitched pretty well and it's Kimbrel who's been shaky in compiling a 7.11 ERA while saving five games. But he closed out the Astros with no problem in the ALCS clincher — apparently after former Dodgers reliever Eric Gagne pointed out a pitch-tipping issue. Matt Barnes, Joe Kelly and surprise find Ryan Brasier all have good stuff and were reliable in the playoffs, albeit a bit wild. Eduardo Rodriguez is an experienced starter, but it would be nice to have another left-hander. Cora has augmented this group in October by aggressively using Sale, Porcello and Eovaldi out of the bullpen in late-inning situations. CHICAGO (AP) — No team in the National League piled up more victories than the Chicago Cubs through 162 games. That seems like small consolation now. The Cubs — who finished fourth in the NL in runs despite being held to one or zero in 39 regular-season games, one fewer than Baltimore for most in the majors — managed just four hits in 6 2/3 innings against Freeland. PHOENIX (AP) — The Arizona Diamondbacks opened the season with the NL's best record in April and stayed near the top of the NL West most of the season, leading the division at the beginning of every month. A September swoon knocked them quickly out of contention. Plagued by bullpen blowups, untimely hitting slumps and a bit of trying too hard, the Diamondbacks finished a once-promising season 82-80. Arizona had a winning record in consecutive seasons for the first time since 2007-08, but finishing nine games back in the NL West was not what the Diamondbacks had in mind after ending a five-year playoff-less streak last season. "We're not where we need to be right now, clearly," Diamondbacks GM Mike Hazen said Monday. "There were certainly some good things that happened this season, but it wasn't what we envisioned in terms of what our goals were. Our goal was to go out and compete for a World Series championship and we didn't do that." Despite a string of injuries to key players and a couple of summer slumps, Arizona entered September with a one-game lead in the NL West. The Diamondbacks opened the month with three straight losses and finished it 8-19 to drop out of playoff contention. Arizona's bullpen, reliable most of the season, went into a funk in September, blowing numerous leads. The Diamondbacks' lineup went flat, producing most of its runs in early innings before going quiet late in games. And, as the pressure built, the Diamondbacks seemed to try too hard to get that big hit or out, often digging the hole even deeper. "When you try so hard to get something and you can't reach it, it just ends up backing up on you," Diamondbacks manager Torey Lovullo said. Now the Diamondbacks face a decision: Rebuild or retool slightly. 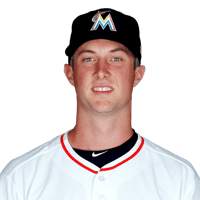 Arizona certainly needs to make changes and could potentially lose two key players in left-hander Patrick Corbin and outfield A.J. Pollock to free agency. The Diamondbacks have to decide if they're only a couple players away from being contenders again or overhaul the roster. "We need to objectively look at what our circumstances are, what the landscape's going to be, where we feel like the talent is going to be on our roster, what we can do conceivably to make moves to improve our roster," Hazen said. "Clearly, we need to improve our roster." The Diamondbacks mutually agreed to part ways with hitting coach Dave Magadan on Monday, ending his three-year stint in the desert. Arizona was one of baseball's worst-hitting teams at .235 this season and has dropped its average each of the past three seasons. The rest of Lovullo's staff will remain. The Diamondbacks had more than their fair share of injuries. Right-hander Taijuan Walker, a member of the opening day rotation, made three starts before needing season-ending Tommy John surgery. Starting third baseman Jake Lamb had season-ending shoulder surgery in early August. 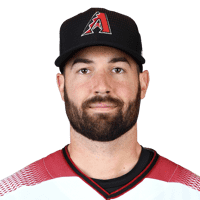 Pollock, fellow outfield Steven Souza Jr. and left-hander Robbie Ray each had stints on the DL. Corbin was an All-Star and Pollock has put up big numbers when he's been healthy. The Diamondbacks may not be able to afford either. 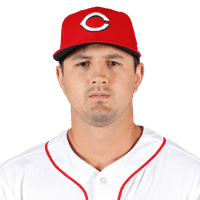 Corbin is coming off his best season, going 11-7 with a 3.15 ERA while logging 200 innings for the second time in his career. He will be one of the top free-agent targets for teams this offseason. Pollock hit 21 home runs in an injury-plagued 2018 season and was an All-Star in 2015. Arizona will have two big holes to fill if both leave. All-Star first baseman Paul Goldschmidt had another productive season, finishing with 33 homers and 83 RBIs while hitting .290. But the year didn't start or end well for him. Goldschmidt had an abysmal first two months of the season and, after a big rebound, closed with a thud, going 7 for 41 with 18 strikeouts over the final 12 games. Goldschmidt, Arizona's best and most popular player, enters the final year of his contract in 2019, so the Diamondbacks face a big decision.